Like many teachers I look forward to my summers off. What I like most about my summers are the ideas I get. For example, last summer when I was speaking about student filmmaking, a had a group of tech and media teachers come up to me after the presentation and we started sharing ideas. Things that I had never considered before. We exchanged contact information and to this day we still follow each other's work. In fact, just this week when I posted the 5th grade movie, I got an email from this new friend of mine telling me about how he showed the video to his middle school students and challenged them: "This is being done by elementary students -- you guys can do better!" Which is almost exactly what I told my students a few months ago. "Come on kids, we can beat these middle schoolers." I am a big believer in the sharing of information, ideas, lesson plans, etc. Which is why I started this blog, I wanted a place for tech and media teachers to get together and find the best practices and ideas for what we do. I am planning on blogging all summer, but the format will change slightly -- I am mostly going to be focused on workshops. 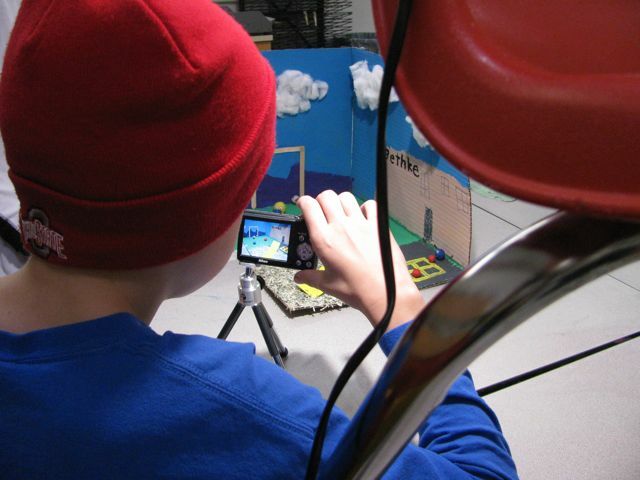 Everything from claymation to macro digital photography. And one more thing... if I am in your neck of the woods this summer, make sure to stop by and say hello.